With FoodSaver Rolls, you can custom make bags to any length you want. FoodSaver Bags are extremely versatile and durable during storage, and can be used in the fridge, freezer or pantry. Simply re-heat food in the bag in simmering water or in the microwave. Bags can also be re-used by washing in the top shelf of dishwasher or in hot soapy water. Bags are BPA free and ideal for Sous Vide cooking. Can be used on all models of Sunbeam vacuum sealer and most other brands. 30cm x 20cm Bags - 50 Pack!Buy your bags in bulk and save! 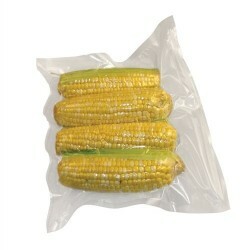 105 microns thick Food grad..
30cm x 40cm Bags - 50 PackBuy your bags in bulk and save! 105 microns thick Food grade.. 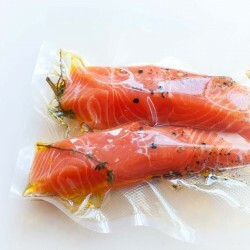 Vacuum Sealer Soaker Pads 50 pack - ideal for meat and fishThese absorbent soaker pads are designe.. This versatile roll expands from 30cm up to 41cm to vacuum seal larger foodsThe FoodSaver Expa..
Keep meats, poultry and fish fresh up to 5X longer with the FoodSaver GameSaver vacuum sealing syst.. Preserving Everything Can, Culture, Pickle, Freeze, Ferment, Dehydrate, Salt, Smoke and Store Fruit .. Introducing a USA Made BPA FREE single piece lid to use with all 38 mm continuous thread jars. Lid .. The Stout Half Pint bottle is a high quality and exciting alternative to showcase your sauces, fruit..